A healthy mind is an essential component of a healthy lifestyle. It affects how you perceive the world and how you react to your environment and the people around you. In order to function normally and accomplish your daily tasks and goals in life, it’s important to keep your brain and mental well-being healthy. “Healthy brain and mental functioning can be cultivated. 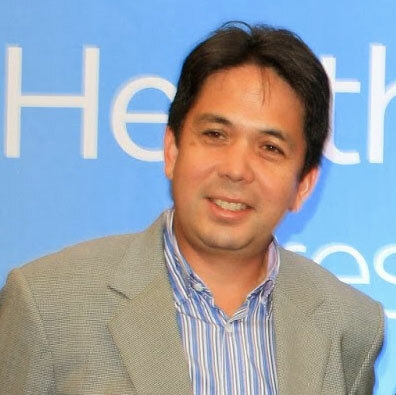 In the same way that eating nutritious food and exercising can make your body stronger and more fit, certain habits and activities can also boost your brain power and mental well-being,” says Dr. Nicky Montoya, president and CEO of MediCard Philippines. Sleep helps your brain and body work properly. While you’re sleeping, your brain is forming new pathways to help you learn and remember information. 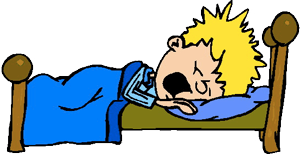 Deep sleep also promotes normal growth in children and teens. It also boosts muscle mass and helps repair cells and tissues in children, teens and adults. It is important for the brain to be adequately hydrated to function properly. Your brain cells require a delicate balance of water and various elements to operate efficiently. When you’re dehydrated, your brain has to work a lot harder to perform at the same level. Drinking water also helps you feel refreshed, which may improve your state of mind. It can also prevent headaches and hangovers. Exercise releases endorphins, which are essential for producing good moods. Working out also keeps your brain and vital organs healthy. It also improves your body image and keeps you motivated to conquer challenges and pursue your goals. Learn a new skill and play brainteasers. Learning a new skill and playing brainteasers can keep your brain sharp. When you learn a new skill, your brain creates new neural pathways that help you process and remember information better. Meanwhile, brainteasers and games that require you to decipher codes and pattern series, remember events and rationalize your answers can also enhance your problem-solving skills, logical reasoning, creativity, and imagination. Regularly talking and socializing with other people can boost your communication skills and improve your decision-making and problem-solving abilities. It is also a way to avoid depression and negative thoughts, which can interfere with your daily activities. Meditation, which involves focusing your thoughts on the present moment, provides cognitive and psychological benefits. Aside from giving a sense of peacefulness and physical relaxation, it can also improve memory, empathy and sense of self. Harvard researchers discovered that practicing mindfulness increases the amount of grey matter in the hippocampus, which helps with self-awareness, compassion, and introspection, and lowers grey matter density in the amygdala, which helps manage anxiety and stress. Since meditation is a big component of Ashtanga yoga, attending yoga classes can also be good for your mental well-being. “The best thing about the human brain is that it adapts and re-wires itself as a result of behavioral changes. There are a lot of ways you can do to get the best out of your brain cells. One of the most effective ways is, of course, letting go of unhealthy habits and embracing a healthy lifestyle,” says Dr. Montoya. The MediCard Lifestyle Center in Makati offers quality medical and specialty services, including nutrition counseling, diet management, and yoga classes. For more information, call (02) 878-5101or visit http://mlc.medicardphils.com.